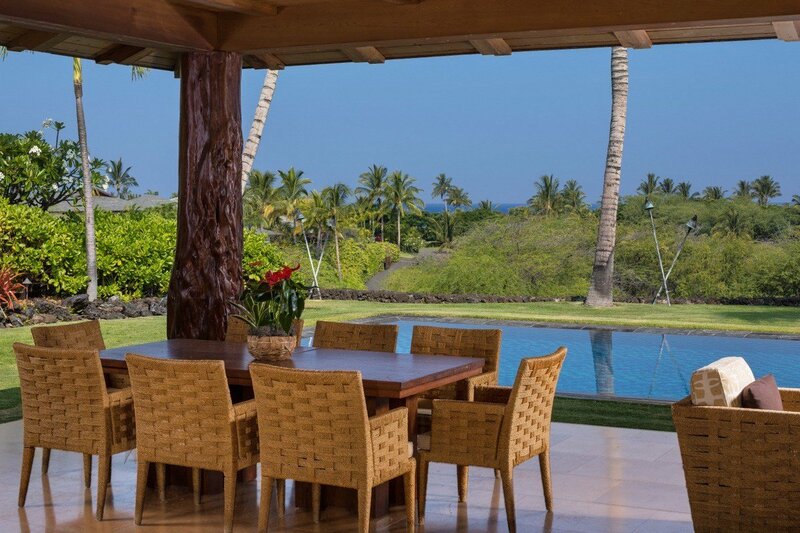 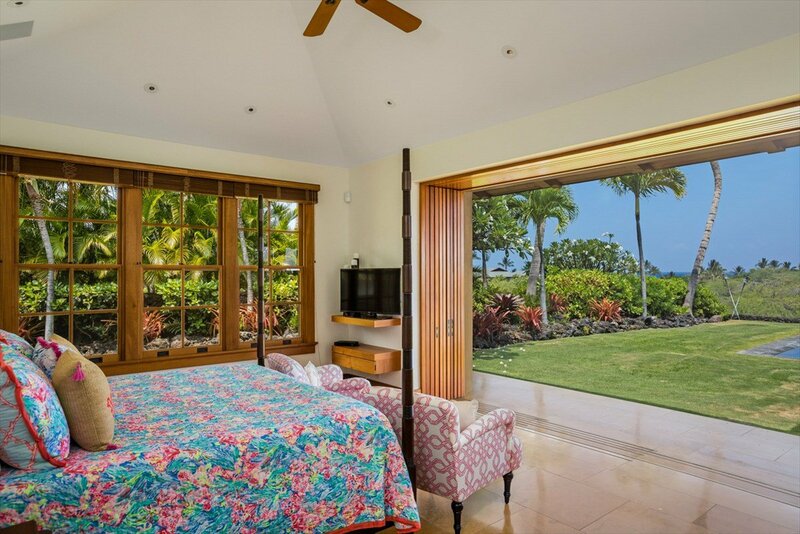 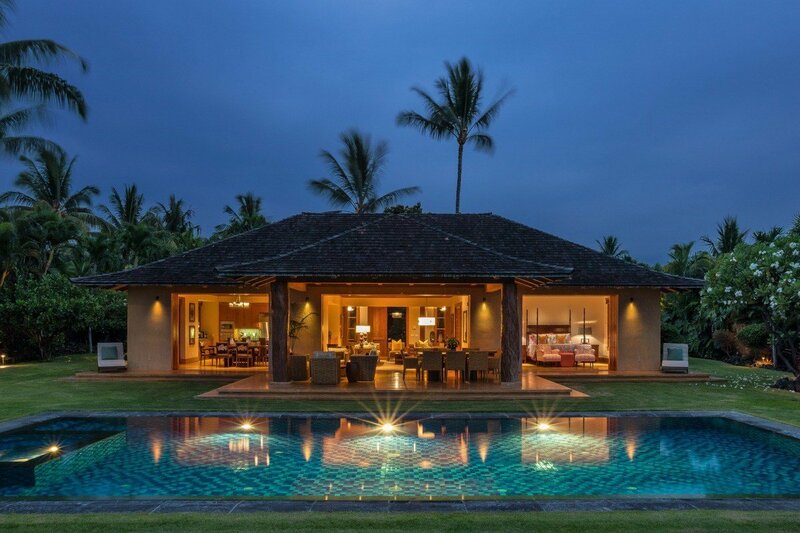 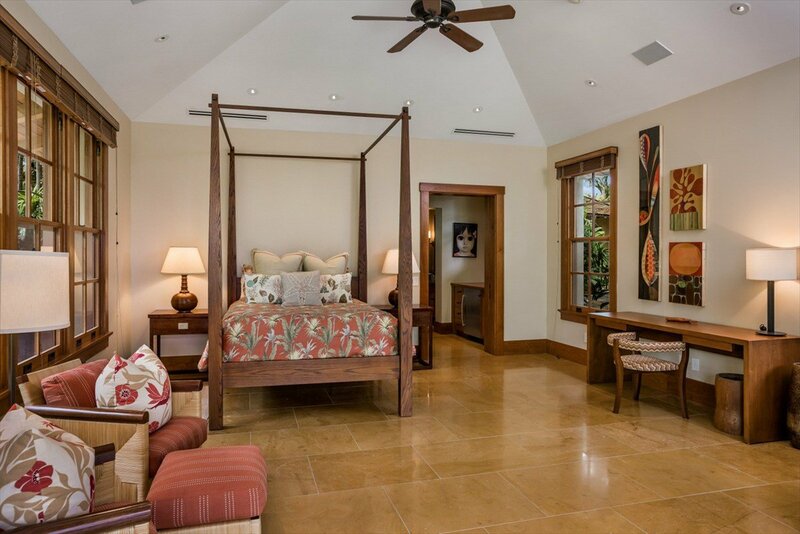 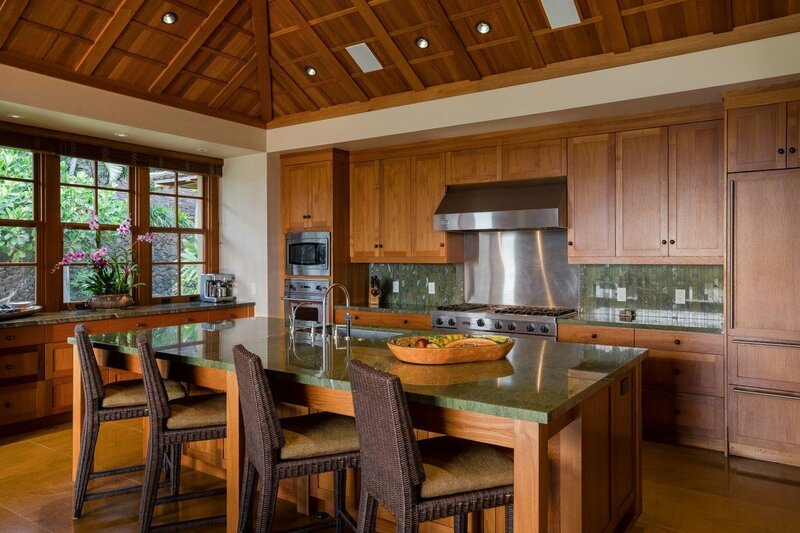 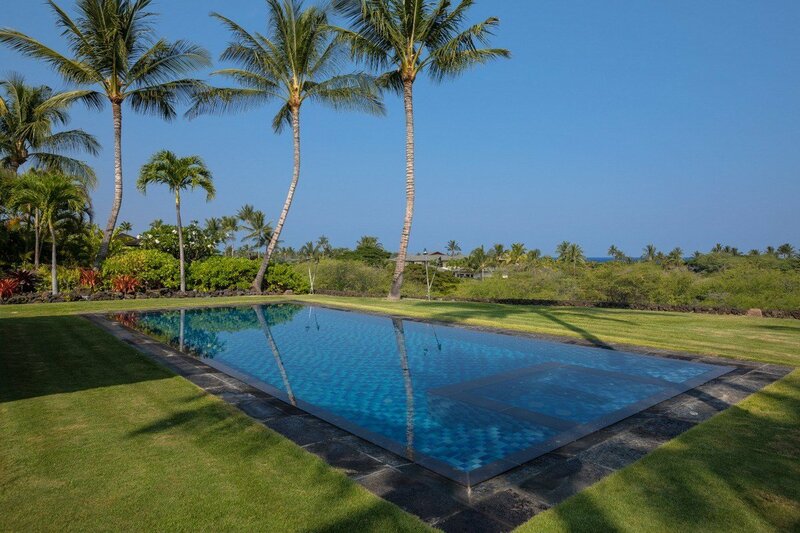 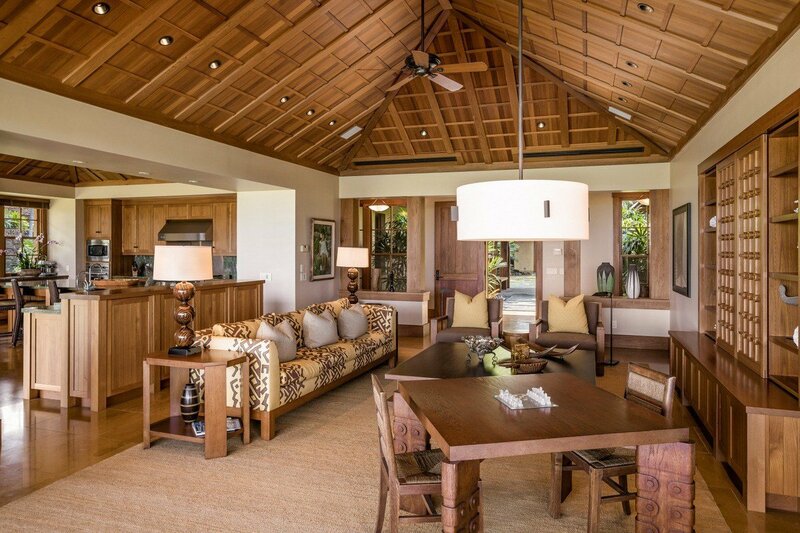 HUALALAI RESORT, Hales at Ke Alaula: This extremely private home is located on a quiet cul-de-sac centrally located in the Resort. 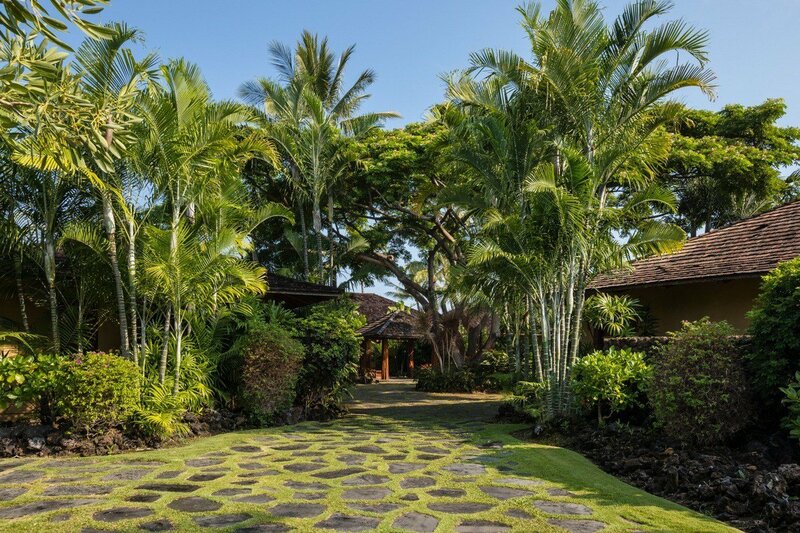 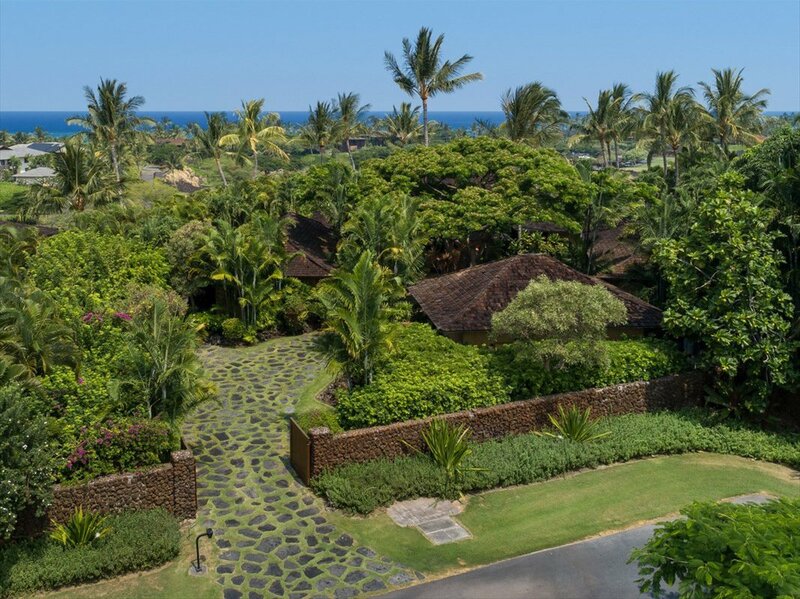 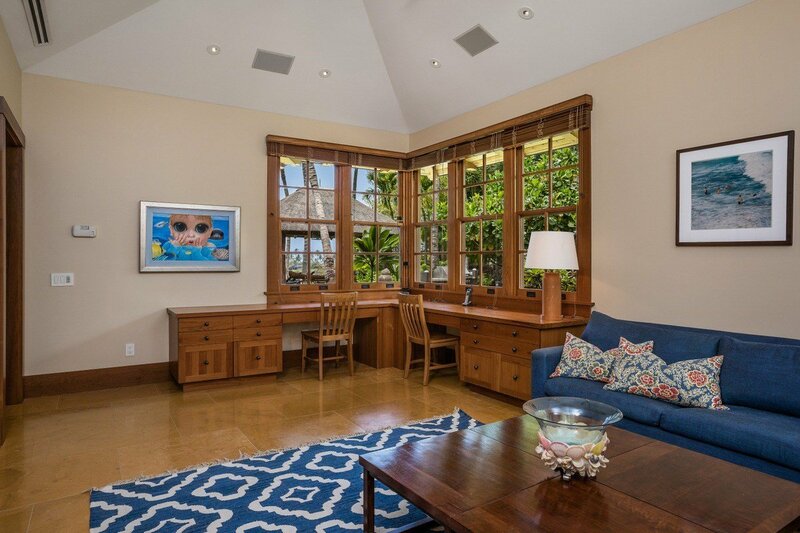 Designed by Zak Architecture, the home lies behind a gated entrance opening up to the roundabout courtyard with an entry pavilion showcasing beautiful naturally carved Ohia wood columns and a Bluerock lava walkway entry. 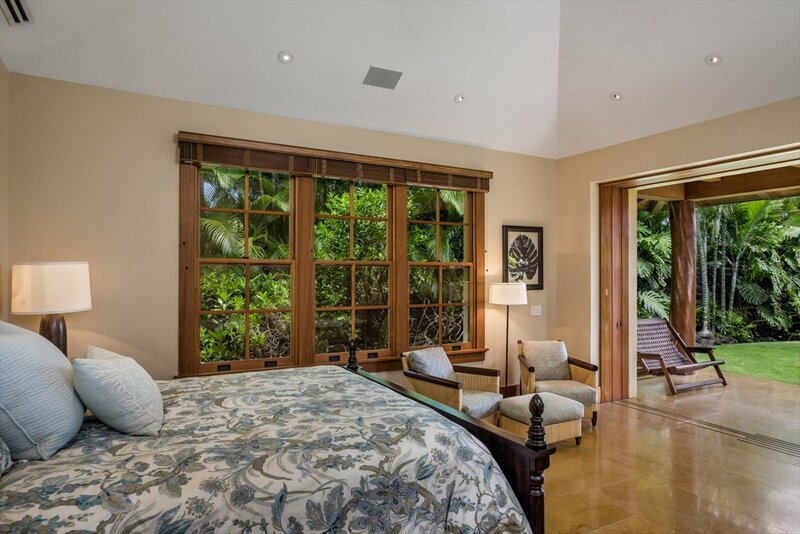 Situated on a large lot and surrounded by mature landscape, this home is set away from the golf course providing premium privacy. 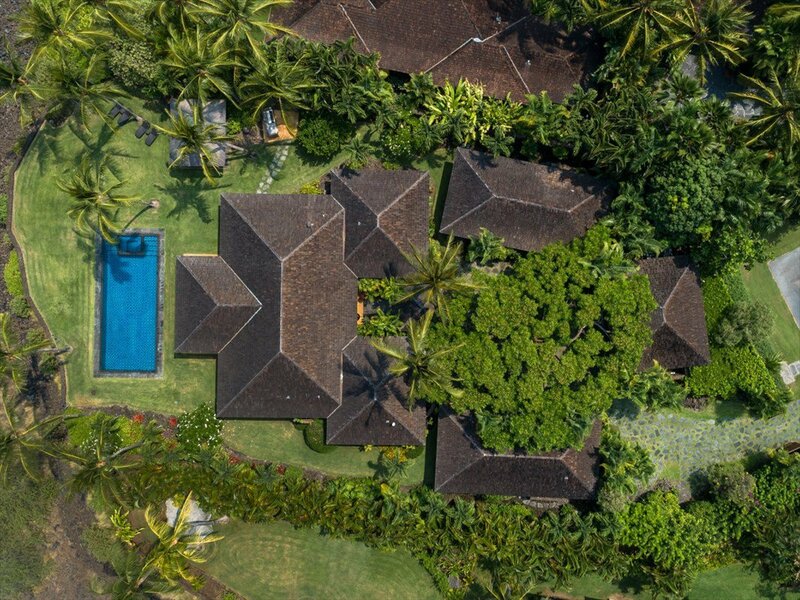 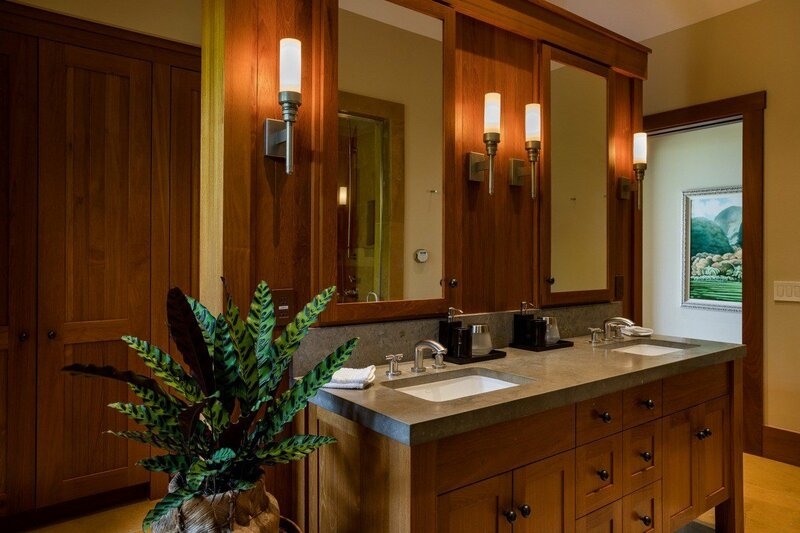 Designed for joyful entertaining, the residence offers two detached cottage suites for guests along with a relaxing sunset pavilion, outdoor barbecue station, expansive lawn areas and an oversized pool with spa. 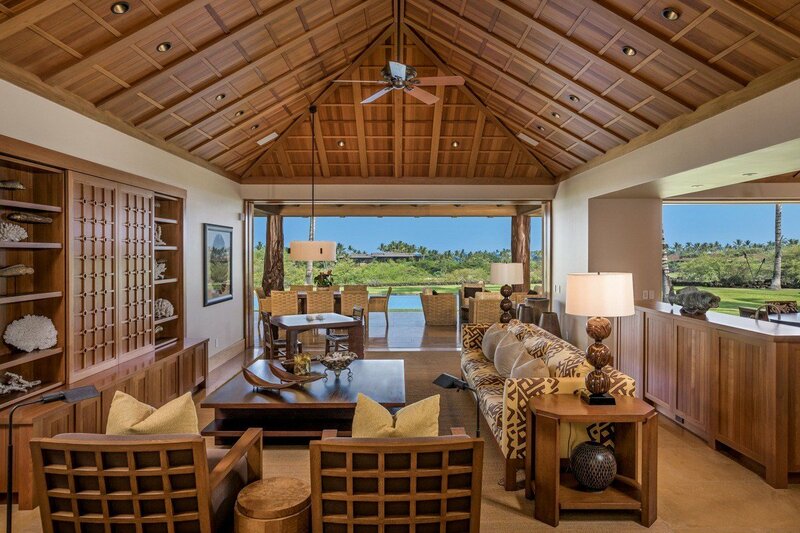 Step out from the great room to enjoy outdoor living on the covered wraparound lanai overlooking tropical treetop and ocean views. 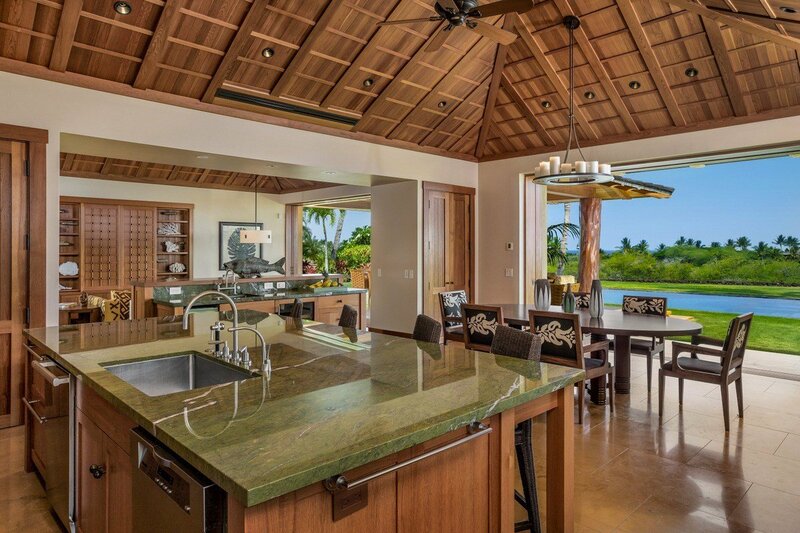 The interior features an ideal open floor plan connecting the great room, kitchen and dining area. 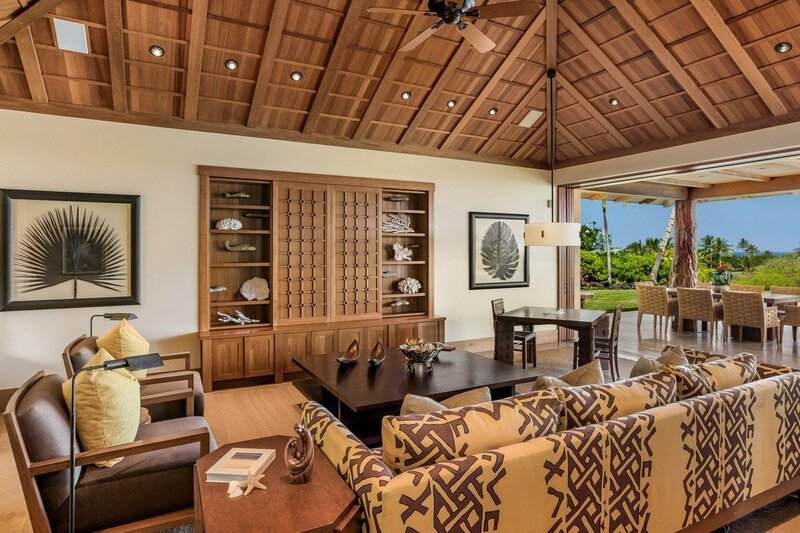 Additionally, the home showcases vaulted wood ceilings in the great room and kitchen, large single hung wood framed windows, pocketing doors and tile throughout. 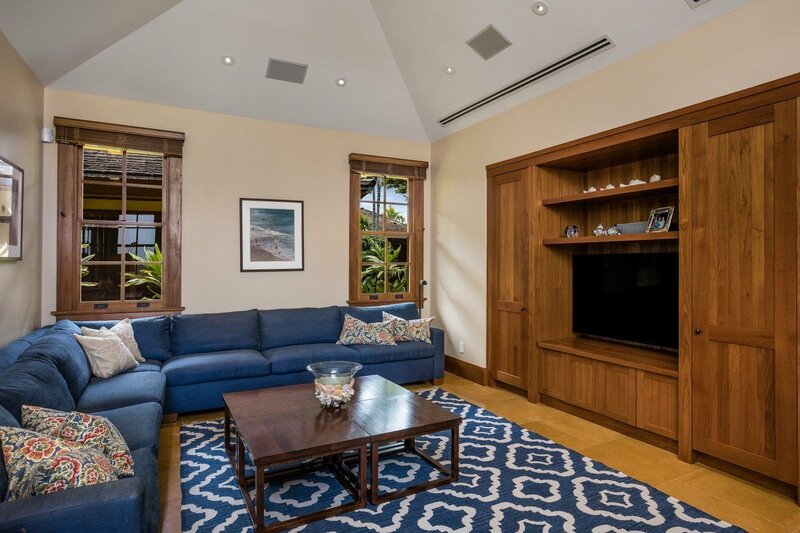 Artistic detail and top-quality construction are noticeable in the built-in entertainment centers in the great room and media room, as well as the crafted office desk and custom window seating in guest bedroom. 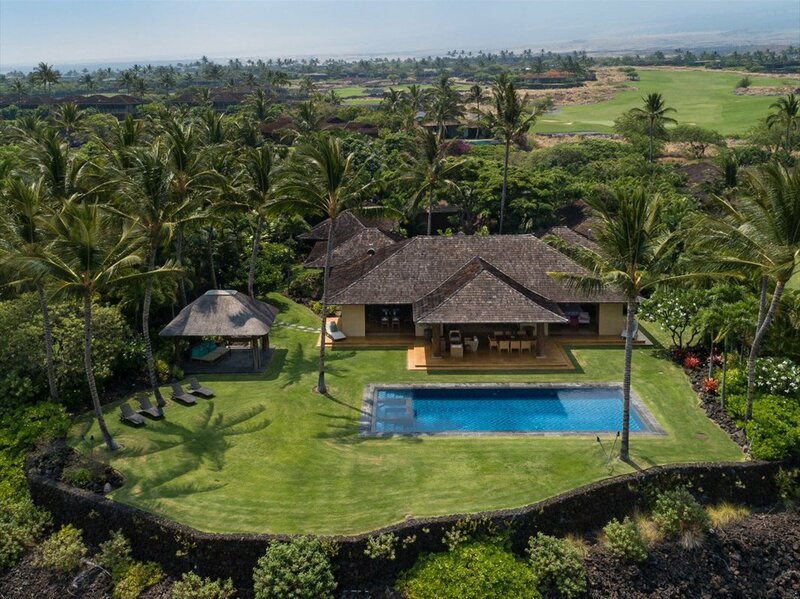 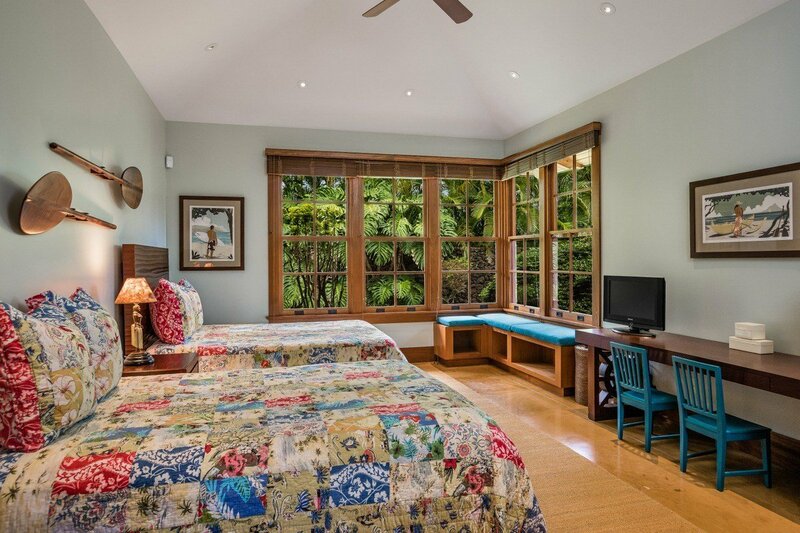 Located at the end of Ke Alaula Street with nearby access to a timesaving golf cart path leading to the beach and Members’ only Hualalai Canoe Club.